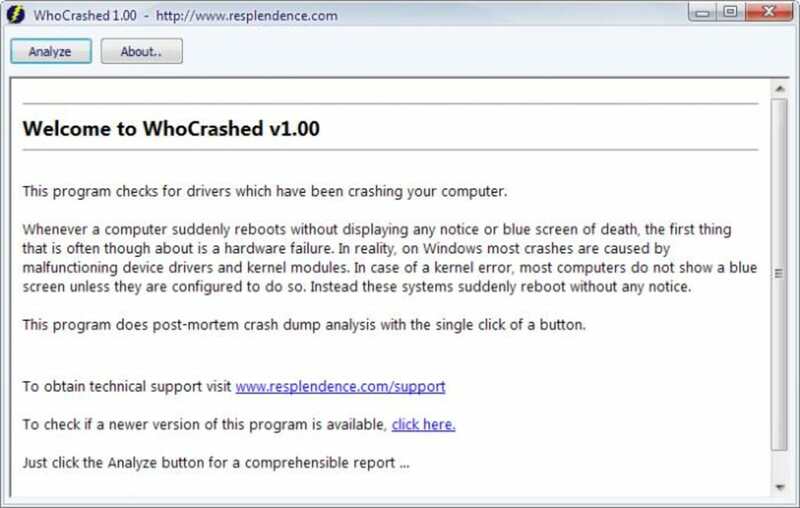 WhoCrashed is special software that analyses the issue when a computer crashes. 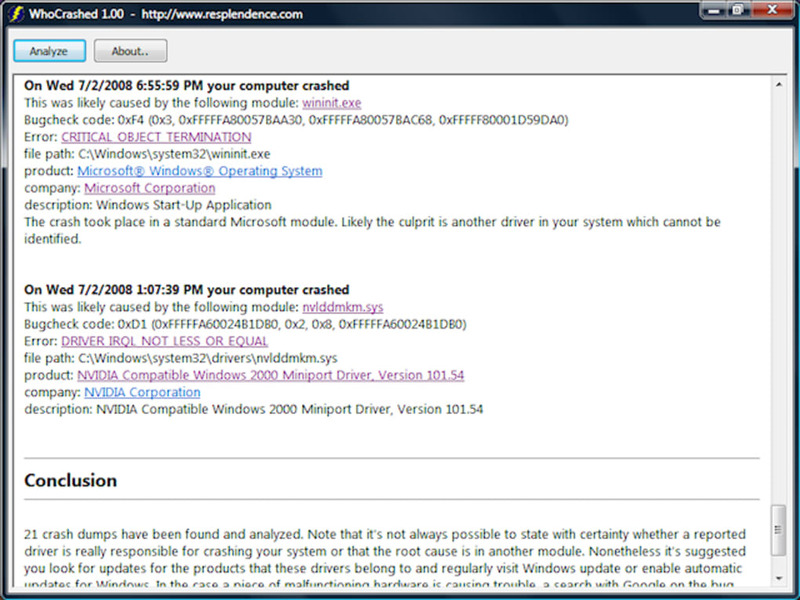 The software works quickly and will provide a message reporting the suspected root of the problem so that users can get to work to fix it. 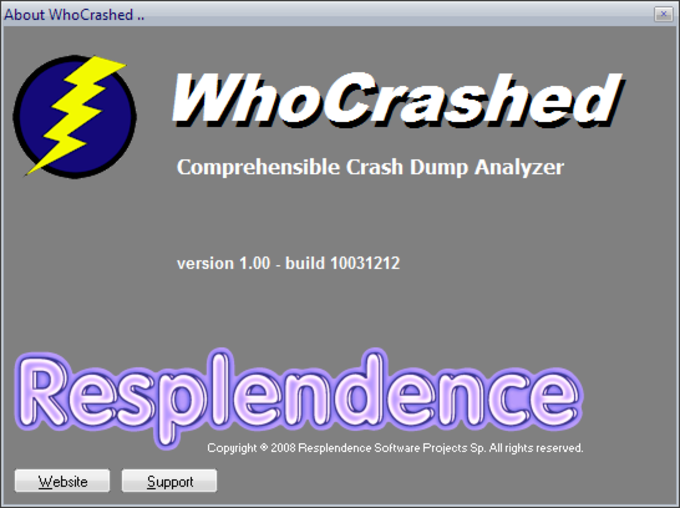 However, users will need to work out for themselves how to actually fix the problem, which is at least half the battle. What do you think about WhoCrashed? Do you recommend it? Why?